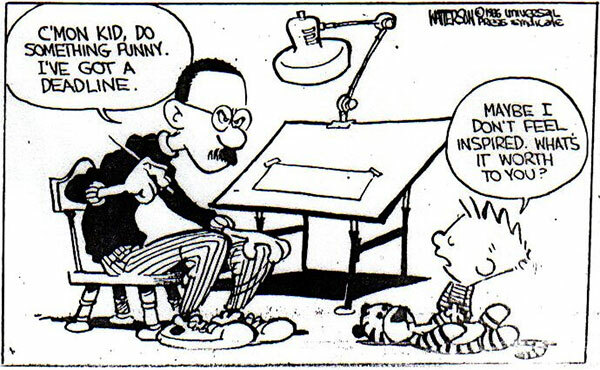 A favorite feature in the comic section in our household was Bill Watterson’s adorably rebellious duo, Calvin and Hobbes. The award-winning comic strip produced by one of the most well-known reclusive writers offered hilarious truths and insights, providing inspiration and entertainment for many. And writing was among the topics covered. Here are three of my favorite bits about writing delivered by the precocious six-year-old and his stuffed tiger. *This list does not include the comic strip on writer’s block since it was featured in Julie’s post last Tuesday. You can read her post here. #3 - Struggling with procrastination and deadlines. Ok, the last was a two-fer. But wasn’t it worth it? 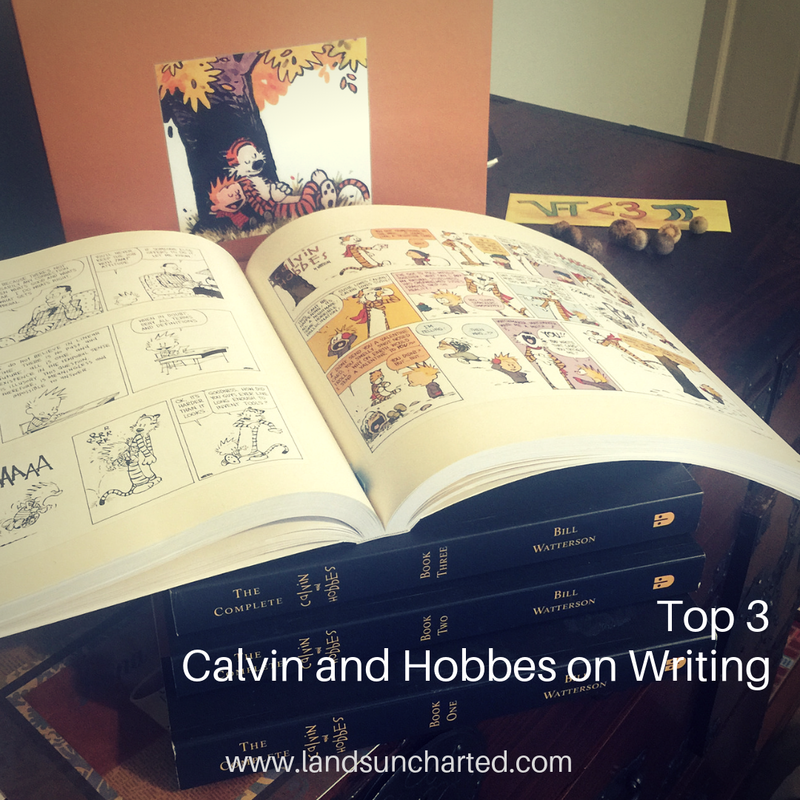 Have you ever read Calvin and Hobbes? Do you have a favorite? Fun post! I miss the comics too.